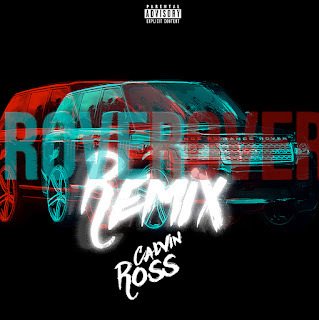 Hailing from Tennessee, up and coming R&B artist Calvin Ross unleashes his vicious remix of Blocboy JB's recent single "Rover." Adding a soulful twist to the demented piano keys, Ross flexes his vocal ability from the opening seconds. They say you shouldn't remix a song unless you can make it better and it's obvious with only one listen that Calvin Ross did just that to "Rover." With R&B making a strong comeback in the last 5 years, Ross is another rising name to add to the list of "Artists To Watch." Having been co-signed by P. Diddy himself and received attention from Atlantic Records it's easy to see why Calvin Ross' talent speaks for itself. Press play on Rover and also catch up on some of Ross' previous releases below. Calvin Ross is an R&B singer and producer hailing from Tennessee. Calvin began making music when he was 17, right after moving back home to Tennessee from a 6 year stay in Detroit. He acquired a friend’s setup for $100 where he began making beats on Fruity Loops. After becoming acquainted with how to produce his own beats, he took advantage of his talent for singing and turned to recording and mixing. “I didn’t want to release any music until it sounded really good,” he said. After winning a showcase at P. Diddy’s studio, Daddy’s House, Calvin Ross got to meet with an A&R for Def Jam Recordings where he was further reassured of his talents. After this meeting, he started to pursue his music career more seriously and has since soared to new heights. Growing up in an area of Tennessee where crime and violence is the norm, Calvin Ross has a colorful story to tell–one that continues to make his music stand out from the rest. So far, he has opened for Avant, Urban Mystic, Snootie Wild, and Blac Youngsta, and he continues to chase his dreams of having his music reach No. 1 on Billboard.